ETHNO 2016: The new spirit of World music is back! From its very foundation in 1990, Ethno has been not only a chance to discover music traditions in a non-formal way within a fun and relaxed environment. It is, first and foremost, about human experience. As a big melting pot for musicians for all over the world, it gives the possibility to develop personally other than musically, to make new and lasting friendships, and to live unforgettable life experiences. The spirit and the enthusiasm are the same but every camp presents a unique atmosphere because of the different combinations of people, music traditions and artistic leaders. This has lead many participants throughout the years to backpack during the whole summer to participate to different camps and bring back home life-lasting memories. This is why Ethno has become not only an international network of musicians but a global family that every summer reunites to jam, dance and have fun on the tunes of world music. 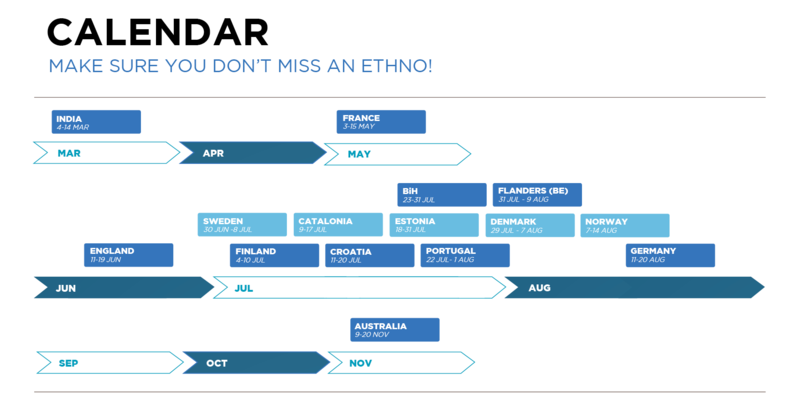 Don't miss the opportunity to live the Ethno experience; you can still apply to Ethno Croatia, the deadline is the first of July!